The birding world is a small one in the US. In fact it’s almost impossible to go to an event like the Rio Grande Valley Birding Festival without running into multiple people that you know both personally and from their online presence. Coolest of the random run ins over the weekend for me was when I bumped into a regular from some of the local tours that I ran in Connecticut. It was funny because we’d called over one of the official tour groups from the festival to see a couple of Altamira Orioles that we had discovered whilst on an early morning stop at Estero Llano and I recognized her voice as one of my previous participants quicker than she recognized mine. I guess to be fair there does tend to be a few British accents at these birding events. 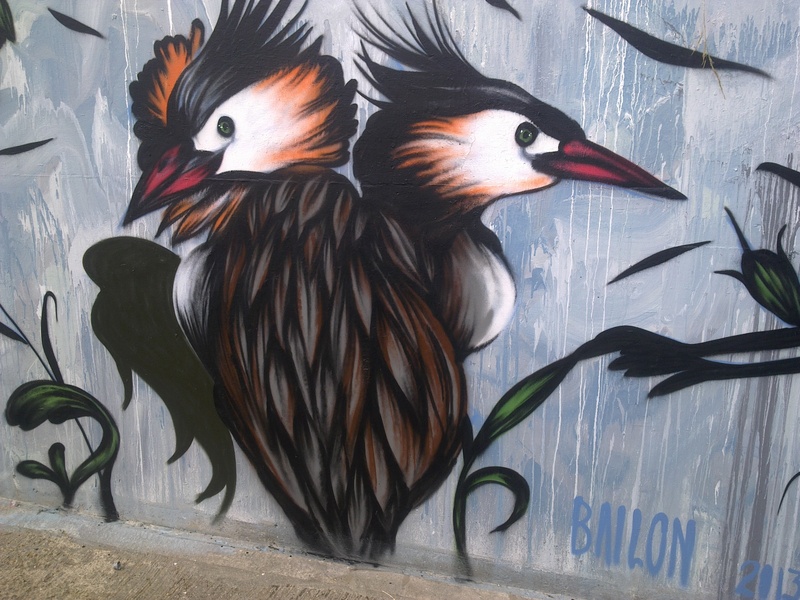 My favorite piece from the event are the Great Crested Grebes created by a Brazilian artist Mateus Bailon (website here). My girlfriend Catherine had just been in Brazil a few months before for the Brazilian Bird Fair (website here). Not only had she fallen in love with the country and its birds, but she had been really impressed by the breadth and depth of an event that included as well as birders and ornithologists, musicians and contemporary artists too amongst others. It’s hard to imagine something quite the same happening in the US or the UK at a birding festival? 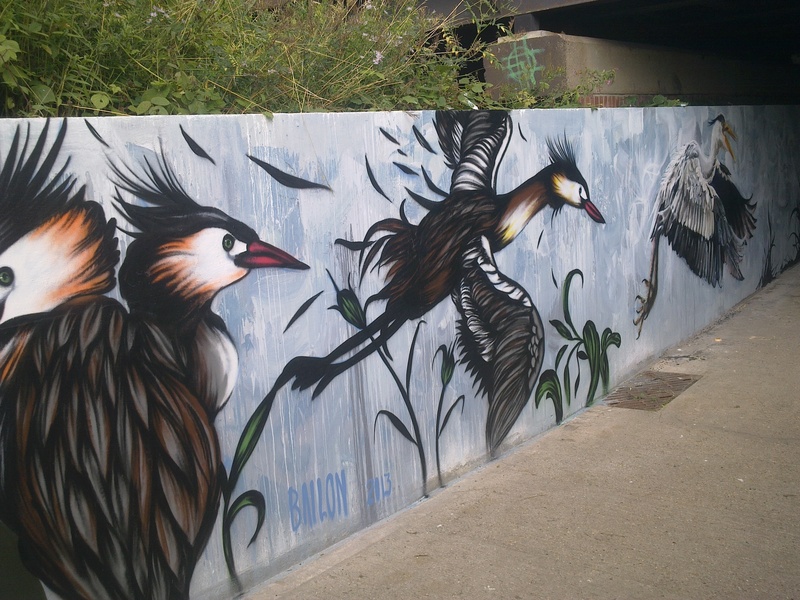 You can see some of the other murals from the London mural project on the Inspiring City Blog (here). 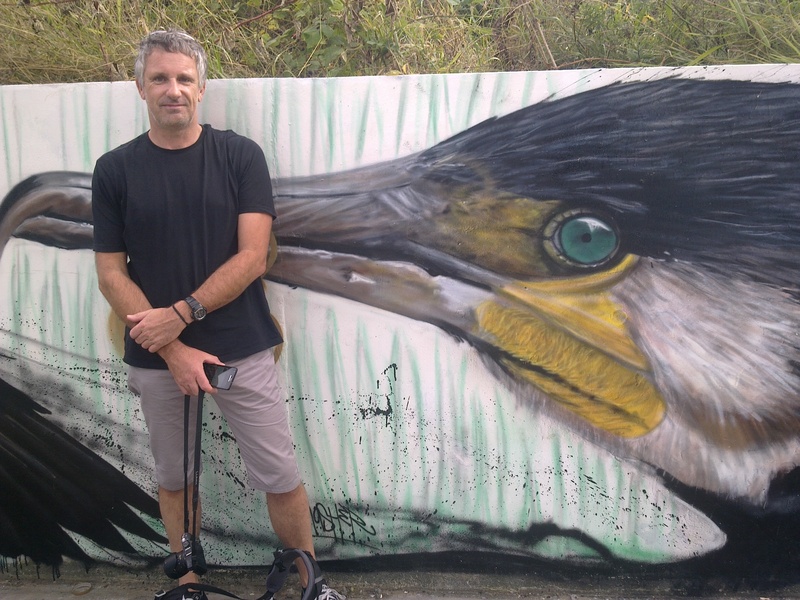 Cool to see the sketches that Mateus worked from and street artists that use nature as a theme of their work. I’m looking forward to getting back to London this Christmas and seeing some of this stuff in person – weird how everything comes together sometimes.